Home/Mobile Phones/Xiaomi Redmi Note 4 is simply raising the bar – What is the craze all about? The Redmi Note 3 is indeed a useful phone and it is certainly going to be one of the best phones even in the next year, as per what a Xiaomi salesman has said. People from Xiaomi have always tried to determine the way in which they can improve the phones. After half a year after they brought Qualcomm Snapdragon 650-based Redmi Note 3 to India, they again launched the flagship phone Redmi Note 4 in India. With Redmi Note, which they launched in India, they brought in a rocking Qualcomm Snapdragon 625 which is the backbone behind a similar phone in China. Xiaomi isn’t allowed to sell MediaTek-based smartphones due to the ongoing legal issue with Ericsson. Xiaomi said that it launched the Redmi Note 4 first in India. 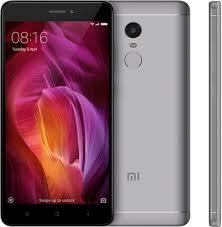 The Redmi Note 4 is brought in India and it is available in 3 different versions, 2GB RAM with 32GB memory, 3GB RAM along with 32GB memory and 4GB RAM along with 64GB memory. You will be rather surprised to know that the price of this phone is at Rs. 9999 and moves up to 12,999. Xiaomi is pretty clear about Redmi Note 4. Xiaomi has tried its best to do all the required essentials which made Redmi Note 3 extremely likeable and they even tried to mend few things which made it irritating to few. The result came out as Redmi Note 4 and as it came, it raised the expectations of all. The Redmi 3S Prime was launched in India in 2016 and then it had come with a body made of full metal, marking itself as one of a kind in its category. On the other hand, the Redmi Note 4 had a better and more curved 2.5 D glass with round-shaped corners and polished lines. The Redmi Note 4 weighs a bit more than 160 grams and this is not too much of a weight while you take into account the point that it houses a 4100mAh battery within it. Something that is incredible is that although it crams such a huge battery within it, the smartphone feels pretty light no matter whichever way you carry it. Hence they have maintained an even weight distribution, coupled with curved glass. However, last but not the least, this smartphone is made of full metal and hence things can get slippery anytime. The Redmi Note 4 also has got a fingerprint scanner at the back and capacitive keys which are built with a backlight. Moreover the power button and also the volume keys are there towards the right and the dual SIM card slot is there towards the left. The Redmi Note 4 has scratch-resistant coating which is extremely protective and you can apply a glass screen guard if you think you want to protect your phone from further scratches. The 5.5 inch 1080p IPS LCD display of Redmi Note 4 performs well most of the time unless you’re there in direct sunlight. The screen is prone to reflection and this hampers the legibility of the phone outdoor. In fact, for majority of the users, the Redmi Note 4 will have everything that the Redmi Note 3 was in terms of performance which clearly means that it is extremely good. Though the Redmi Note 3 was pretty prone to overheating, this one is better. Just after a software update, this issue can be fixed easily. In comparison with the Redmi Note 3, the Note 4 doesn’t heat up at all. So, if you’re looking forward to getting the best looking phone within a budget, you can certainly give Redmi Note 4 a try and reap the benefits of it multifarious features.